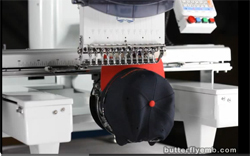 A 270 cap system allows for embroidery on the surface of caps up to a maximum of 270 degrees. For practical purposes, this is essentially ear to ear. With a 270 cap system, a user has the ability to embroider both the front and sides of the cap without the need to re-hoop the cap and sew out a separate design. 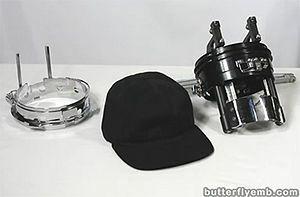 Nowadays, the 270 degree cap system is standard. Prior to the 270 cap system becoming standard, cap systems could only embroider on the front of the cap (not the sides). This page was last modified on 15 October 2013, at 16:12.